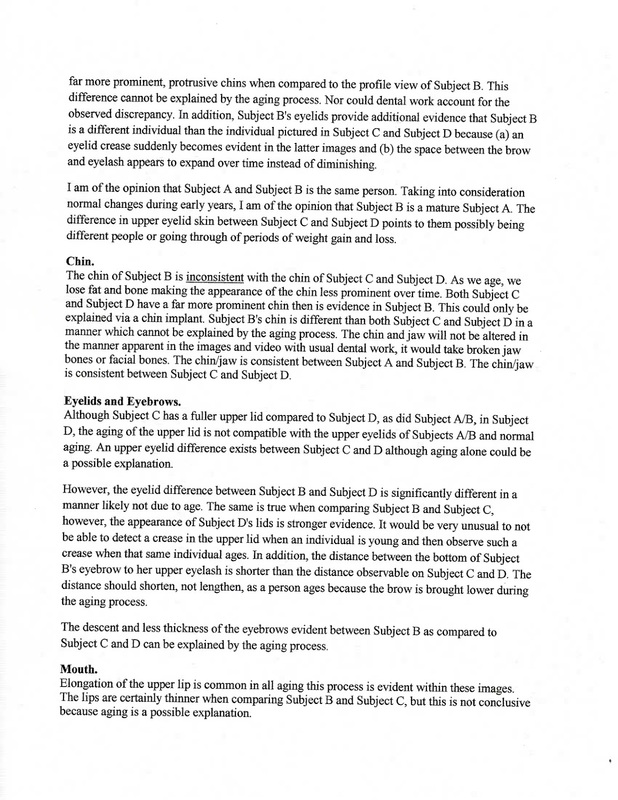 As seen in this report (and others) the analysis of the photographic images refers to Subject A (0-18 years old), Subject B (20-40 years), Subject C (60 years old), and Subject D (75 years+). Attached is an example of a photograph from each Subject. These are the four groups we divided the images into to organize the analysis. We are currently of the opinion that Subject A and Subject B are the same individual. We are also relatively confident (though not certain) that Subject C and Subject D are the same individual. As Dr. Garcia notes, we are confident Subject A/B depict a different individual than the individual(s) depicted in Subject C/D. Much more analysis to come! 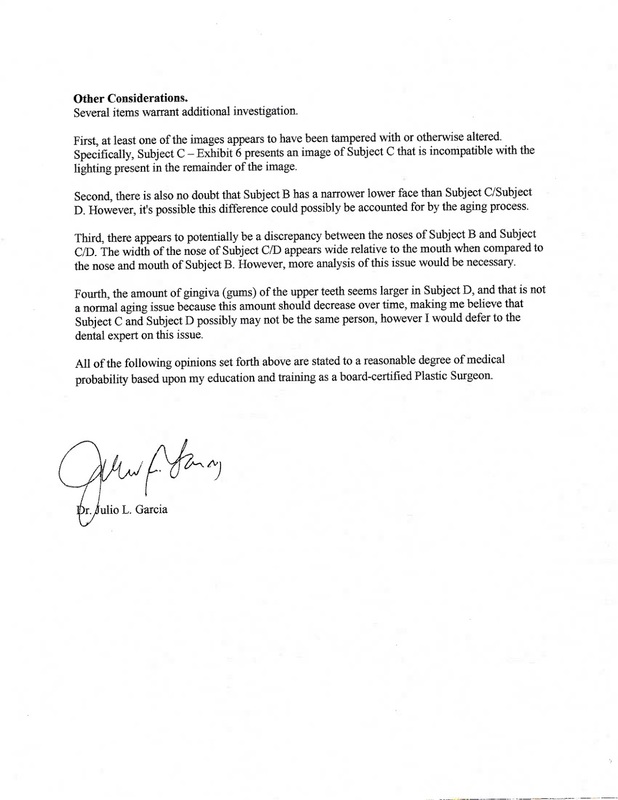 Dr. Garcia possesses a degree in art history and is of Hispanic descent giving him a unique background to assess this question. 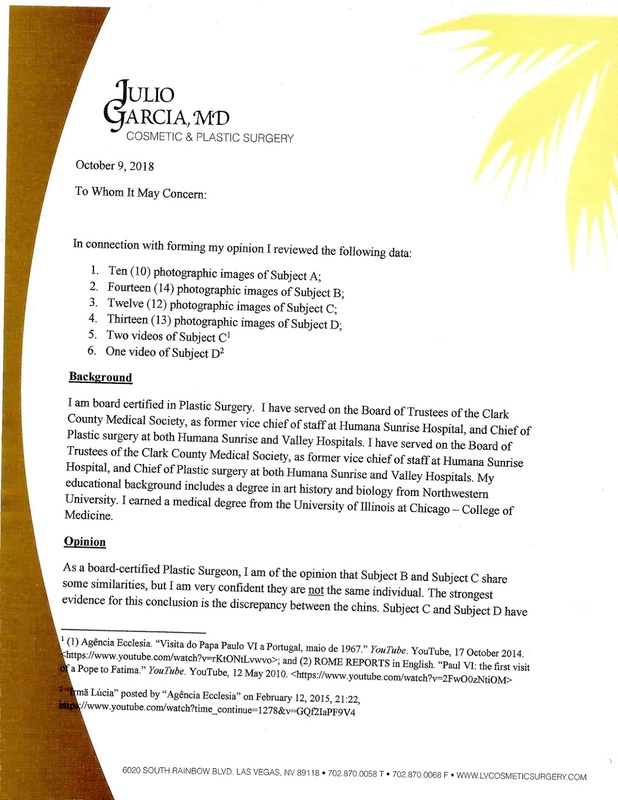 Dr. Garcia is the individual who first identified the presence of a fake image that has been previously discussed on this site. Dr. Garcia thinks that multiple items suggest a different individual but the strongest evidence is the chin and eyelids. He also thinks the noses are different. Here are some of the sample pictures which were analyzed by Dr. Garcia. 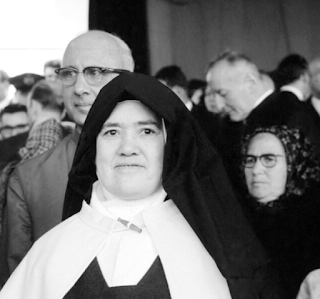 One picture is presented as an example of Sister Lucy A (Child), B (40s and 50s), C (1967), and D (post-1982). Having been in the OR with plastic surgeons while they operated, I recalled one chat I had while a Surgeon operated on a lawyer who had been in a car accident. He explained the man made his living with his mouth so while repairing the badly lacerated lips and chin he had decided to add a prosthetic implant chin. He explained exactly the same as this surgeon reports . Receding chins tend to appear more receded with age. They do NOT become more prominent with age as with the elderly Lucia we have been presented with. Thank you for this very interesting information that fits with our findings. Although I can't see the gum differences between the showed pictures C and D - I suppose other pictures studied by Dr. Garcia show visible gums - as a periodontologist I agree with Dr. Garcia's statement that with older age the amount of gums - we call this gingival width - is unaltered, or diminishes due to recession of the gum margin. I have never seen a natural increase of the gingival width, unless via surgical interference. 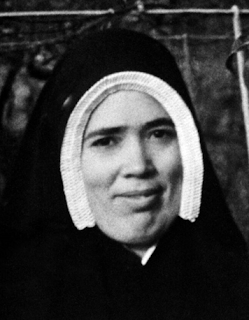 Would you perhaps be interested in doing an expert analysis of this gum situation for Sister Lucy Truth? If you would, please contact me at justicepc@yahoo.com. Thank you also for your comments. It will be interesting if we can find out exactly who this imposter was, where she came from, and how Newchurch managed to get her to cooperate with the whole scam. 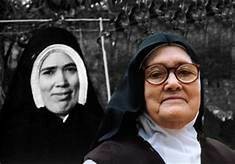 Was she a psycho case with some kind of envy of the attention that Sr. Lucia was getting? 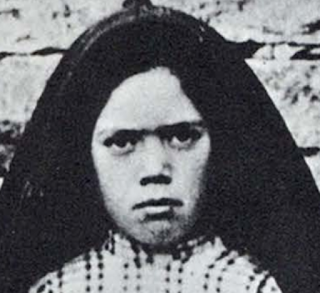 Was she a childhood rival of Lucia dos Santos? There were a number of local people who attacked Lucia and tried to make life miserable for her for various reasons. 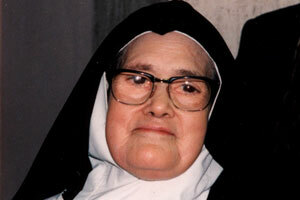 She would have to be a woman who knew Portuguese well but they speak it in Brazil, too. Thank you Dr. Chojnowski and Dr. Garcia! Unmasking the satanic take over of the Vatican little by little. Lets see if SSPX picks up this story-no one hold their breath. Whew! Did they put a boulder into her chin or what? Its amazing with what you can do with plastic surgery!